Jersey City, NJ (August 16, 2007) - As recently reported in ComputerWorld, ("How do I tell if my computer is a zombie"; July 24, 2007), it is becoming more difficult for consumers to know whether their computer has been comprised. "Through a virus or worm, a criminal takes over your PC, [and] it receives instructions over the Internet to mass mail spam, take down a company's network as part of a DDoS attack or log your keystrokes to gain access to your bank account". 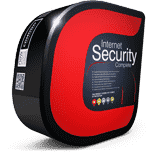 To combat this and other growing threats, the Comodo group of Internet security companies has innovated by introducing prevention-based technologies into their award-winning firewall that transforms desktop security from being "detection-based" to a "prevention-based" safeguard on a user's PC.
" Our goal is to change the face of security. Instead of trying to determine whether a file is "bad" once it is on your computer, it is far more logical to prevent the breach in the first place, " says Melih Abdulhayoglu, CEO and Chief Security Architect of Comodo. " We have a goal to evolve the role of desktop security from detection to prevention and Comodo Firewall Pro v3.0 (now in BETA) is our first step in reaching this objective. " 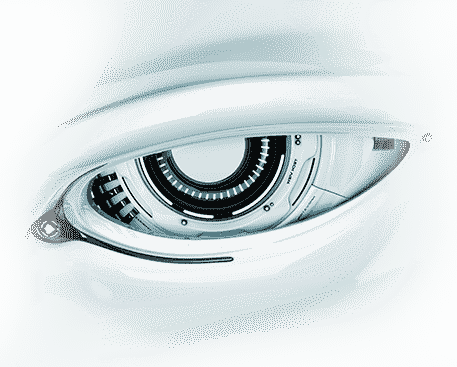 Unlike other firewall solutions, Comodo's unique approach identifies safe applications rather than simply detecting and blocking harmful applications. The firewall employs a white list of over 600,000 safe applications so that only trusted applications have access to the PC. The white list, developed by Comodo, allows Comodo Firewall Pro Version 3.0 to prevent many of the worst types of attacks because new threats (such as ones often used in day zero attacks) are simply not allowed to execute on a user's PC. Comodo Firewall Pro V3.0 is expected to be widely available within a few weeks. This version introduces powerful new features that are typically only available in enterprise class solutions. Nevertheless, consistent with Comodo's strategy of offering the best in security solutions at no cost to consumers, this version will offered free for download. NAGW is geared specifically to the interests and concerns of local government webmasters. The organization provides a way for these webmasters to share knowledge, ideas and resources, and a way to meet and network with other who have similar positions. 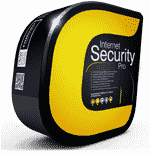 Comodo Firewall Pro integrated HIPS technology whereas most often HIPS is only available as stand alone solution. Using HIPS, Comodo Firewall Pro can prevent spyware and malware from ever being installed on a user's PC. When activated, the user is warned EVERY time an unknown executable (.exe) attempts to run that is not found in Comodo's white list database. The user has the option to allow or block the application from running. This approach is only practical when used in conjunction with a comprehensive white list database that only allows safe and trusted programs from ever being installed on a PC. 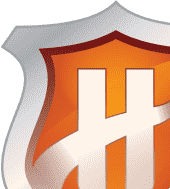 Comodo Firewall Pro includes a proprietary white list of safe executables that is continually updated and currently contains over 600,000 applications, making it one of the largest safe lists in the security industry. The integrity of every executable is checked against this database and Firewall Pro will alert users of potentially damaging applications before they are installed. In many cases, this proactive approach averts damage from viruses or rootkits not known to anti-virus software. Comodo Firewall Pro also creates a customized safe list profile of a user's applications using Comodo's white list database. Users can include their own "safe" (a.k.a. trusted) applications within this profile to allow custom programs to be installed. Once the profiling is finished, Comodo Firewall Pro will create a custom 'safe list' database that is unique to that user's PC. Users can control all aspects of the firewall's configuration with 3.0's sleek and intuitive design. Each module of the program can be easily accessed and configured from a single centralized location. The program provides an immediate 'heads-up' summary of the program's current configuration. There's no complex configuration or steep learning curves - just simple point and click deployment of high-grade security. Next generation, 64 bit processors double the amount of data a CPU can process but very few security solutions have been adapted to cater to these new processors. Comodo Firewall Pro has been specifically designed to support these new processors. The Comodo Forum offers both experienced and new users a wide depth of knowledge and support. In fact, the Forum has become a new and popular destination for people interested in online security and staying safe online and has topped over 25,000 active members. This Comodo community now rivals most of the largest and longest-established security forums. Although Comodo Firewall Pro delivers enterprise class protection, it is meant to be used "out of the box" with no required custom configuration. However, the control panel gives more sophisticated users the ability to configure the solution to meet their specific requirements. Comodo Firewall Pro builds on the success of previous versions of this firewall which received top reviews from independent sources such as PC Magazine Online Edition , May 30, 2006; Matousec.com , When: March 2007; TechTarget , December 22, 2006; Computerworld.com , July, 2007 and Web User magazine (Print), July, 2007. Currently, over 350,000 users are downloading Comodo Desktop Security solutions every month. Comodo Firewall Pro Version 2.4 version can be downloaded now and users will receive auto update when the new V3.0 is released for general use.